While I am sure every generation feels the weight of its own history, there is no denying that recent global and national events press upon us. So many overused metaphors come to mind: a refiner’s fire, an alchemist’s crucible, as we must distill what we value down to its essence. These times focus our attention and remind us, grudgingly perhaps, that ‘aleinu’, it is up to us. I suspect many of us are still sorting and sifting through our emotions. I know I am. As we contend with complex issues of polarization, hatred, the call for increased security, the inability to speak to difference and the myriad reflections on our American Jewish identities, one thing stands out clearly for me as a non-Orthodox, ‘Reformative’ rabbi. This is the hour of our Judaism. Reflecting on the Pittsburgh massacre, we can see that the congregations of Etz Haim Synagogue shares many of our values. Anti-Semitism is not just the hatred of individual Jews. It is the existential hatred of Judaism and all we represent. The Pittsburgh Synagogue, supported refugees and migrants based on both their historical experiences of being an immigrant community and on the core values of the Torah herself which teaches us over and over and over to ‘love the stranger’. 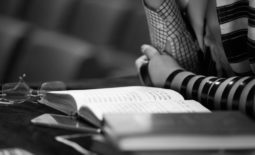 These times call upon us – especially as non-Orthodox Jews – to double-down on those values. In two weeks, it will be Chanukkah: a festival in which ‘it is about us’, ‘aleinu’. On the particularism-universalism continuum that shapes much of Jewish thought, it is fair to plot Chanukkah on the extreme of particularism. And that is absolutely okay. It is okay to focus on our survival, our identity, our continuity. It is more than okay to emphasize Jewish culture, family and tradition, to brace ourselves with latkes and blue-and-silver Chanukkah kitsch against the hegemony of Christmas during the dark days of December. Sometimes, when the world feels dim and cruel, turning inwards is an understandable and sometimes even appropriate response. It is okay to nurture our connection to the Tribe, for Judaism to be about us. And yet, we light our chanukkiyot, not in hidden alcoves or behind closed doors. We are commanded to light them in public places, outdoors, and at minimum, for all to see in our windowsills. At a time where we feel like turning inwards, where we feel like hiding from the world and perhaps even inculcating a narrative about how much ‘they’ hate us, from Pharaoh to Amalek, from Antiochus to Neo Nazis posting on Gab and Twitter, we are commanded to shine our light in the world. Of course, we cannot shine our light if it is not fueled by a cruse of sacred oil. Our message to and mission in the world needs to be nurtured in a particularist vessel. But shine, we must. One of the things I delighted in when I came in Iowa City was my ability to wear my kippah out in the public domain, something not possible in many parts of Europe. Until Pittsburgh, I would wear it outside relatively often but not always. It may not surprise you that I too value my privacy and my identity as ‘just a normal human being’, especially when kid-wrangling in Costco. Yet, embryonically, I felt that my kippah was an act, a gesture of resistance. Resistance against hatred. A clear staking out of my territory that claims my right to be different. 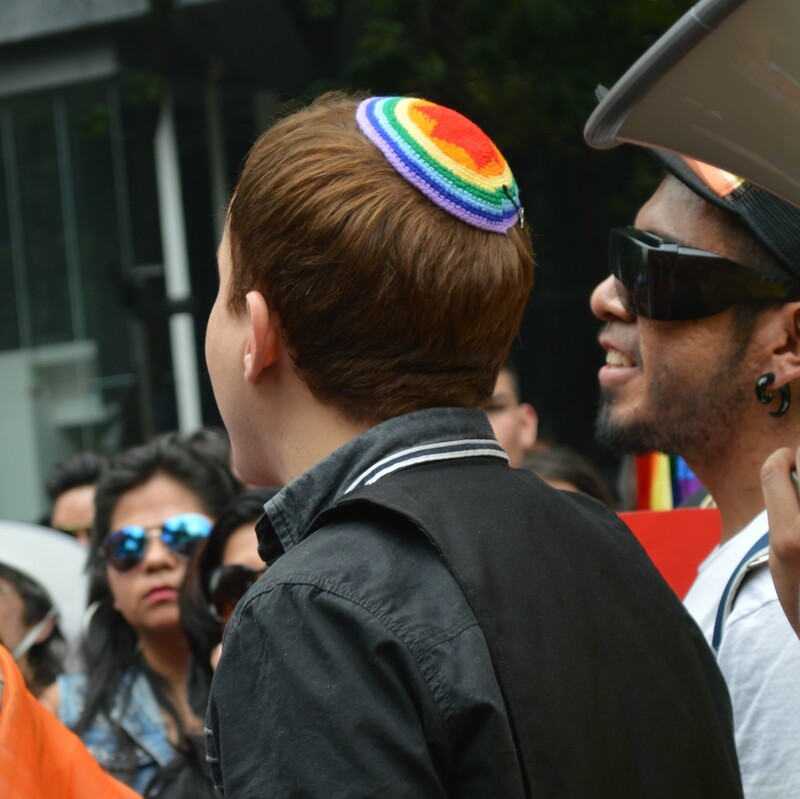 To embrace my unique Jewish identity and to signal solidarity – limited, privileged and imperfect though it may be – with other minority groups and traditions, including people of color, Muslims and LGBTQ individuals who may not have the luxury of assimilation—the way I can when I take my kippah off. After Pittsburgh, I’ve worn it as much as I can. It was a decision that I made without a shadow of a doubt, even and especially when it encumbers or exposes me, compromises my desire to just be, because as a Jew, we cannot and should not ‘just be’. We are called to be a holy nation. Each of us will navigate our identity differently and I wanted to share, as your Rabbi, some of my personal considerations. At the base of these lies the deep knowledge and understanding that Judaism will not survive – our Judaism – if we do not claim its meaning, message, purpose and depth. 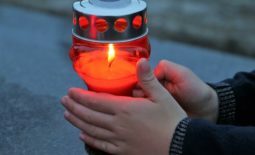 A shared sorrow may have provided the briefest taste of unity after Pittsburgh, but anti-Semitism is not what defines the experience of Jews in America today; assimilation is… Once the candlelight vigils are over, where is the solid ground for the future of American Jewish identity? It won’t come from being victims — it shouldn’t — and cultural and ethnic identity, the bagels and lox version, is disappearing fast. From where then? There really is only one source left: the religion — Judaism itself, and its unique capacity for adaptation. The five books Beckerman identifies each focuses on the unique gifts and challenges of the American Jewish experience: be it the moral imperative articulated by the early Reformers, or its opposition, where another author laments the loss of a complex and rich religious and textual tradition reduced to “a set of vague slogans”. The third book author, disturbingly, refers to Jewish identity as a “terminal ethnic identity”, patched together by food traditions and vague cultural “leisure activity”. The fourth book dwells on how to rebuild the dwindling connection between American Jewry and Israel, proposing that Diaspora Jews should be able to elect the Israeli President. If you feel yourself to be a Jew, you get to be one. “The ‘chosen people’ must become the ‘choosing people,’” he writes. And it’s a strategic move. Jews can’t afford to be exclusive — leaving out children with only a Jewish father or a non-Jewish spouse. Why negate them while allowing membership to people who couldn’t care less about it? He wants a “Big Tent”: “Inside the Tent the table is set with a smorgasbord of Jewish values, music, food, traditions, rituals, spirituality, language, philanthropic causes and connections with Israel. At this table some will nibble; others will feast. But all will have options and none will be turned away. It is a compelling vision and in many ways this is already facts-on-the-ground. I have found that much of this applies to our congregation. We are, in many ways, welcoming (while we should not be blind to the ways in which we are not). All of us are here because we are the ‘choosing people’. Our strange hybrid synagogue, by virtue of our unique positioning in our local society, already is a ‘Big Tent’. Yet, there is something missing from this assessment. Do we choose in the sense that we ‘nibble’ at the table? A hors d’oeuvre here or there? Or do we sit down at the table and commit to its meaning and practice and learn to set the table as well as sit at it? Nibbling gives us a taste – and a taste is important – but it is meant to whet the appetite, not sate us. Future historians will tell us whether there is a pre- and post-Pittsburgh divide. Was Pittsburgh a turning point in American Jewish history or one of the many iterations of violence that has plagued our society? For now, we are left with threads still unwoven. It is up to us to light the lights of our Jewish souls. Up to us to consider our future and to cherish Judaism for all it is and can be. As our People have said for over three thousand years, in Egyptian or Aramaic, in Greek, Persian, Hebrew, French, Ladino, Arabic or German, and now in English – we will not let those who hate us, win. The best way to defeat hatred is to love deeply, radically and unreservedly. All of humanity, of course. But also, this great and ancient tradition that we are part of. It is about us. It’s about us. And it’s upon us. Aleinu. I am proud to be part of the liberal Jewish project that seeks to pursue justice, amplify the voices of the marginalized and bring us its own rich spirituality – inclusive, open minded, critical – to our People. At the same time, there is virtue and value in being challenged in the views we often take for granted. Of course our community needs an inspiring Torah, and uplifting Torah. But we also need a dangerous Torah. We are intimately familiar with such rabbinic practices such as lighting candles, Kiddush and singing zemirot, Sabbath songs, at the table. We have ingrained the notion of the home as a mishkan me’at, a small sanctuary, and the table at which we eat as the mizbe’ach, the altar. In our individual lives, we may or may not make decisions about what we do or do not observe. 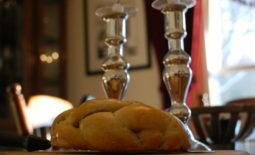 Be what may: in our tradition, Shabbat is a presence we cannot deny. Brokenness is a universal human experience: everyone has encountered brokenness in their lives, their world or in themselves. Of course, while brokenness is the great leveler, our experience of brokenness is not a level playing field. Some of us are subjected to greater trauma than others; some of us may have more access or resources to heal from or repair the brokenness we face. Nonetheless, I’d wager to say that as I give this sermon, there will a number of you who are encouraged to reflect on what is broken in your lives. It seems as inevitable as death.